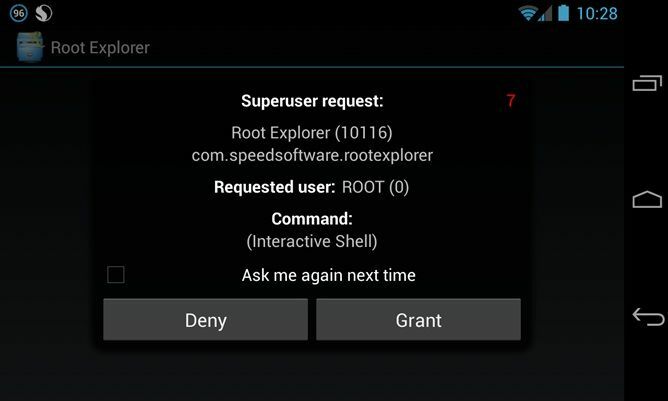 SuperSU is possibly the best app to get root privileges and one of the best available on Google Play. This fantastic tool has just been updated to version 1.10, which adds support for multiple users, support for x86 devices and more! When Google launched Android 4.2 with multi-user support, many asked: how can handle root access secondary user accounts? The answer given at that time was: we can not. Apps like SuperSU simply will not work in accounts other than the primary user. However, Chainfire famous Android developer and mastermind behind SuperSU , I knew something could be done, and he did. This update incorporates SuperSU full support for multiple users on Android 4.2, so every user on the same device can enjoy the benefits of having a system rooteado . In addition, this new version also includes support for x86 devices and update language files. If you are a root user and do not yet proven SuperSU , I recommend that you do because it’s one of the best apps you’ll find all Google Play. And best of all, it’s free.